Fotolia offers royalty free stock images, letting individuals as well as professionals to lawfully purchase and use stock images along with illustrations for print and web. Check out Fotolia’s high quality photos that were evaluated up to the smallest details to provide only the best stock images. Fotolia has the complete team of professionals from artists, graphic designers, and famous photography agencies that even extends to international moderators just to ensure success in every photo. 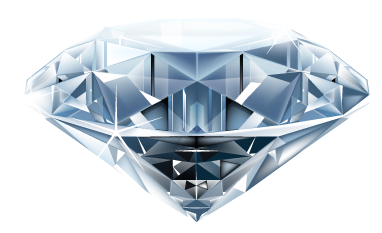 Fotolia is not only limited to giving out quality photos. They provide different quality level photos while helping you decide on what photos to buy at the same time. Fotolia has a library that showcase up to millions of images, vectors and videos. What makes it excel from other photo providers is its ability to offer affordable yet creative imagery all of the time. You can select from their offered subscription plans. 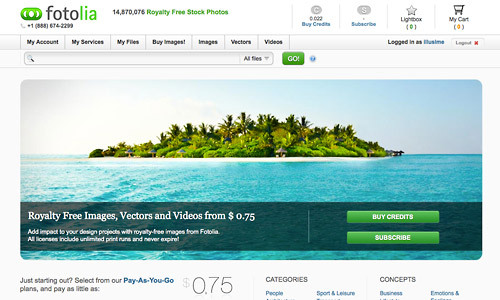 Imagine paying less than a dollar if you buy stock photos with Fotolia; isn’t that great? Or maybe if you are in desperate need of huge collection of photos, site, Fotolia can provide you those for a much cheaper price. If you’re a beginner, you can subscribe to their Pay-As-You-Go plan for only $ 0.75 and to a much cheaper price of $0.16 for huge amount of photo requirements. We have an account with Fotolia and they really are brilliant. It’s really simple to use and the pricing simple doesn’t complicate things. Definitely recommend Fotolia for anyone looking to get pictures for their website.